In this original fairy tale based on Russian traditions, Katya inherits magical matryoshka dolls from her grandmother, who warns her only to open them "if her need is great"; after three times, "the magic will be gone." Katya journeys out and encounters a land frozen in a permanent winter night. A power-hungry wizard has frozen the prince as well, and Katya decides to use her magic to release the spell and bring back the day. 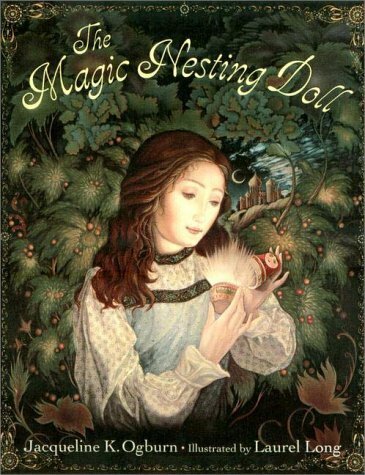 Each turn of the doll reveals a different animal--a bear, a wolf, and a firebird--that helps, in three subsequent episodes, to weaken the wizard's curse. Finally the wizard is defeated, but it's not until Katya kisses the prince that he thaws, and the two are married "most happily, of course."